SINDHUPALCHOWK, Jan 31: The sluggish reconstruction work in Sindhupalchowk, one of the worst-hit districts by the devastating earthquakes of 2015, is gaining pace of late. Shortage of skilled laborers, technicians and construction materials and continuous rise in prices have negatively affected the locals’ efforts to rebuild the damaged houses. 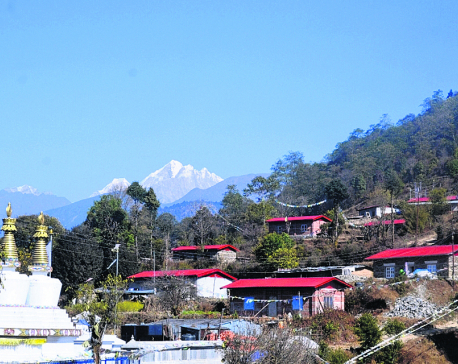 According to government data, over 50,000 residents representing about 64 percent of the total quake victims in the district have started reconstruction work. “We are seeing a rise in reconstruction activities lately. 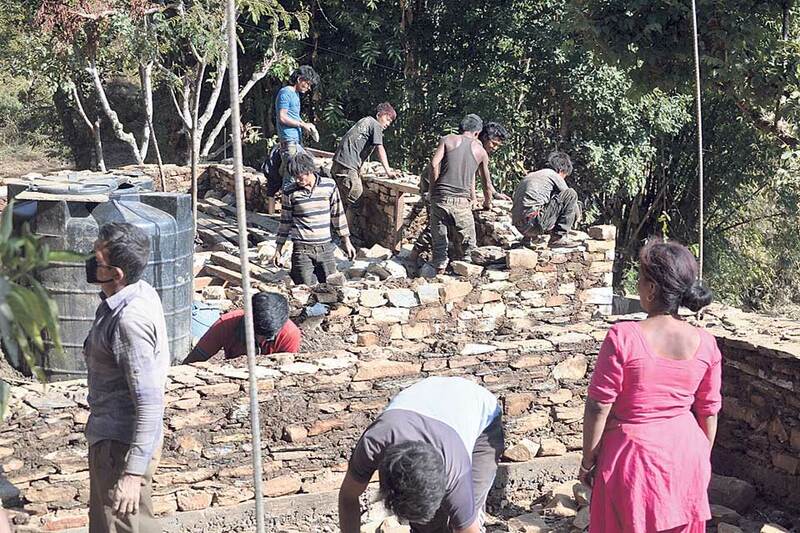 In the past eight months alone, over 43,000 victims have started to rebuild their houses,” informed Tanka Prasad Gautam, chief of Project Implementation Unit under Urban Development and Building Construction Division. According to the unit, a total of 50,114 households are currently reconstructing their homes. The district has 78,537 beneficiaries for the government’s housing reconstruction grant. The wave of reconstruction has touched every part of the district, from Tatopani in the east to Helambu in the west. There is not a single village and settlement where the reconstruction has not been initiated. With the festive and farming season now over, they seem to have focused on reconstruction. Gautam estimates that most of the reconstruction works in the district would be over before the upcoming monsoon. “The election of local representatives and the government’s deadline for claiming house reconstruction grants have contributed to increase in the reconstruction activities,” he said. Before the local elections of May, construction of only 163 houses was completed while 10,000 victims had claimed the grant. As the deadline for claiming the grants nears, it has driven the quake victims to act in haste. So far, a total of 39,748 victims have received their second tranche. Gautam estimates that similar number of people who claimed the second tranche of the grant have finished rebuilding their homes.